Long Island voters will cast their ballots Tuesday picking not only the next president of the United States, but also their Congressional and New York State legislative representatives. The races up for grabs include New York’s U.S. Senate seat, all five members of the U.S. House of Representatives for LI, plus the nine state Senators and 22 members of the state Assembly that represent the region in Albany. What follows is a guide to these candidates. Polls are open 6 a.m.-9 p.m. Nov. 8. To find your local polling place, contact the Nassau or Suffolk board of elections. This three-term, Brooklyn-born senior senator representing New York began his career in elected office as an Assemblyman and later a Congressman before he unseated U.S. Sen. Alfonse D’Amato (R-NY) in 1999. He is expected to become next year the Democratic leader of the U.S. Senate, where he’s hopeful his party will recapture the majority from the GOP. Schumer, 65, who still uses a flip phone and is frequently seen pressing the flesh at local street fairs, is known for holding weekly Sunday news conferences focusing on issues that affect constituents, such as consumer scams, health scares or terrorism threats. His priorities include making college more affordable, investing in infrastructure projects, improving mass transit and securing federal funding for water quality monitoring at beaches. This 56-year-old Massachusetts native and litigator from New York City unsuccessfully tried in 2012 to unseat then-freshman U.S. Sen. Kirsten Gillibrand (D-NY). Before running for office, she was a law clerk for several federal judges, including U.S. Supreme Court Justice Clarence Thomas, who she helped found the conservative Judicial Crisis Network. She was also a legal advisor to Mitt Romney’s presidential campaign and was a spokeswoman for two U.S. Senators. She is running on a platform of repealing Obamacare, cleaning up corruption in government, ending Common Core in schools, cutting taxes and rebuilding the nation’s infrastructure. If elected, she pledges that she will only run for re-election once and serve no more than two six-year terms. Wilson, 42, is a Detroit native currently living in Brooklyn who’s making her first run for elected office. In addition to pursuing her master’s degree in applied theater, she has been community organizer for various progressive groups, including The Opportunity Agenda, the Neighborhoods First Alliance and the Esperanza Peace & Justice Center. She is a believer in using art to make social change. Her platform includes proposals to better protect the environment, transparency in policing, student and mortgage debt relief, universal access to housing and healthcare, ending mass surveillance, gender and LGBTQ equality and legalizing marijuana. Merced, 31, of Brooklyn, is involved in both the Brooklyn and Manhattan chapters of the Libertarian Party. This first-time candidate is also the founder of a Media/Marketing consulting company called Merliva LLC. His policy platform includes fighting for health care reforms that empower consumers and fighting against intervening in international affairs of foreign nations. Merced is pro-life, but does not believe in government prohibition of abortion. He supports LGBTQ equality as well as reforming the criminal justice, welfare, immigration and banking systems. He opposes a federal minimum wage as well as government involvement in the education and housing sectors. This 36-year-old freshman Congressman from Shirley, Iraq War veteran and former two-term New York State Senator represents the East End of LI, plus the Town of Brookhaven, since unseating his Democratic predecessor on his second try two years ago. He serves on the foreign affairs, veterans’ affairs and transportation and infrastructure committees. He is pro-life and supports repealing the Affordable Care Act, aka Obamacare. He opposes gun control and amnesty for undocumented immigrants. He recently passed legislation to help combat the heroin crisis. This 56-year-old Sag Harbor resident and ex-Southampton Town Supervisor touts that she cut the town’s debt, uncovered mismanagement of funds and restored the town’s credit rating to the highest- possible status. She helped establish Stony Brook University’s New York State Clean Water and Technology Center, where researchers study nitrogen in Long Island’s water. Before she took office, she co-founded the Hayground School in Bridgehampton, which provides early education to students in need. She is pro-choice, favor gun control and back increasing the accessibility of childhood education. King, 72, of Seaford, is running for his 13th term representing the South Shore of eastern Nassau and western Suffolk counties. As chairman of the subcommittee on counterterrorism and intelligence and member of the homeland security committee, which he previously chaired, he is regularly seen on TV discussing national security issues. Over the years, he broke with his party to help pass the $50 billion Sandy aid package and to extend the Zadroga Act that provides medical benefits to first responders suffering from illnesses stemming from their work at Ground Zero after the Sept. 11, 2001 attacks. This 47-year-old Amityville resident is an Army veteran and presiding officer of the Democrat-controlled Suffolk County Legislature. He was first elected in a 2008 special election and ran unopposed last year for re-election. During his time in office, he has passed legislation big and small—from creating a gun-offender registry to enabling live webcasting of legislative meetings. If elected to Congress, Gregory said he will work to restore Pell grants to help college students with the cost of tuition, legislation that ensures women are paid the same rate as men and improving veteran services. Martins, 49, of Old Westbury, is an ex-Mineola village mayor and three-term New York State Senator representing central Nassau. He is running for the seat being vacated by retiring U.S. Rep. Steve Israel (D-Huntington), whose district spans the North Shore of eastern Queens, Nassau and western Suffolk. In the state Senate, where he chairs the labor committee, Martins opposed the MTA Payroll Tax, sponsored the School Bus Mandate Relief Act and co-sponsored measures to require insurance to cover autism treatments. If elected, he said he favors repealing Obamacare, reducing airplane noise on the North Shore and protecting LI’s waterways. The 54-year-old ex-Glen Cove city mayor, one-time gubernatorial candidate and former two-term Nassau County executive was the first Democrat in decades to hold that title. During his tenure as county exec, Suozzi renovated the county’s capitol building, successfully lobbied for a New York State two-percent property tax cap and got a cap on local Medicaid expenses before he was unseated in ’09 and lost a rematch against his successor in ’13. He later became an attorney in private practice. If elected, he said his priorities include reinvesting in the nation’s infrastructure, improving Obamacare and fighting climate change. The 51-year-old freshman Congresswoman from Garden City who represents the southwestern third of Nassau previously served nine years as Nassau County district attorney and once ran for New York State Attorney General. Like her predecessor, retired U.S. Rep. Carolyn McCarthy (D-Mineola), Rice supports banning assault weapons and universal background checks for gun buyers. She also supports raising the minimum wage, equal pay for women and making college more affordable. The most notable piece of legislation she’s proposed would require automakers to be equipped with anti-DWI technology within 10 years, if passed. She sits on the homeland security committee. Gurfien, 51, of Great Neck, is president of a wellness company and a retired U.S. Marine veteran who served in Iraq and Afghanistan. Although this is his first run for office, he touts his experience as a congressional liaison for the military as giving him the experience needed. He favors limiting congressional members’ terms to three and fining companies that outsource American jobs overseas. He opposes expanding background checks for gun purchases and closing the Guantanamo Bay terrorist detention facility. He supports limiting domestic surveillance, but only if America military forces destroy enough terrorist groups abroad first. Meeks, 63, of St. Albans, is a former New York City prosecutor running for his 10th term. He has represented the 5th District, which includes parts of western Nassau, since the map was redrawn 2013 and has represented southeastern Queens since ‘98. He sits on the financial services and foreign affairs committees. Among the laws he got passed was one that increased consumers protections to better prevent identity theft. Meeks favors raising the minimum wage, enacting gun control legislation and is pro-choice, having voted against the prohibition of late-term abortions in ’03. This 58-year-old attorney, ex-airline pilot and former U.S. Marine from Broad Channel is making his first run for office. He supports increasing scrutiny of immigrants, creating a path to citizenship for undocumented immigrants and expanding the wall along the nation’s southern border. O’Reilly is opposed to Common Core and wants to make college tuition more affordable. If elected, he plans to fight for term limits for members of Congress and spend more time in the community working with constituents on issues that affect local residents. This 51-year-old insurance specialist from Queens Village is a former Queens Democratic Committeeman making his first run for office. Since his 16-year-old son was an innocent bystander killed in a shooting, he has advocated for ways to reduce gun violence in the community. He also favors the creation of local oversight boards to investigate allegations of police brutality, switching from fossil fuels to renewable energy, free health care for all Americans and decriminalizing the use of marijuana. If elected, he also would focus on improving education, housing and creating more economic opportunities. LaValle, 77, of Port Jefferson, is running for his 21st term representing the East End. He has chaired higher education committee for more than three decades, authored the historic Pine Barrens Preservation Act of 1993 and is credited with getting state money to help Stony Brook University build its new computer science building and a burn unit at SBU’s Medical School. This 58-year-old Calverton resident is a business consultant and perennial candidate who unsuccessfully ran for Riverhead Town Supervisor, Town Tax Assessor, Riverhead school board and New York State comptroller. If elected, he plans to fight for gender equality, children’s rights, ending political cross-endorsements that deny voters choices and improving the way East End farms get their product to market. Flanagan, 55, of Smithtown, served 16 years in the state Assembly before being elected to the state Senate seat representing the North Shore of central Suffolk. He became majority leader last year. As ex-chairman of the education committee, one of his priorities is the fair distribution of state aid to schools. He took the lead in banning the sale of salvia divinorum, synthetic marijuana and “bath salts,” as well as legislation to help crack down on illegally prescribed painkillers. Magistrale, 25, of Saint James, is an accountant making his first run for office. He supports campaign finance reform to allow publicly financed campaigns as a way to combat the influence of wealthy donors in politics. He also backs reforming Common Core as well as investing in renewable energy. If elected, he would encourage the state to ferret out an estimated $2 billion in annual Medicaid fraud and use the savings to make college more affordable. This 42-year-old Centereach man who works in real estate is known as the “Red Light Robin Hood.” That’s because he is facing prison time after Suffolk police arrested him repeatedly over the past year for vandalizing right light cameras, which he believes were installed to generate government revenue rather than increase driver safety and should be removed. Among his priorities are ending Common Core and cleaning up public corruption in Albany. Croci, 44, of Sayville, is a freshman state Senator representing central Suffolk’s South Shore, ex-Islip town supervisor and a U.S. Navy reservist twice deployed to Afghanistan. He chairs the committees on ethics as well as veterans, homeland security and military affairs. Bills he’s proposed would make killing a service member first-degree murder, discounting mass-transit fares for veterans and defunding municipalities that don’t turn undocumented immigrants over the federal authorities. A Mastic Beach native, DeVito, 25, is a law school student making his first run for elected office. Aside from volunteering as a Democratic committeeman, he has also worked for the U.S. Securities and Exchange Commission and in the Nassau County District Attorney’s Special Victims Bureau. If elected, he would work to repeal Common Core, ban outside income for state lawmakers and curb the influence of special interest groups in Albany. Fritz is a 71-year-old private attorney and Democratic committeeman from Brentwood who has run for various elected offices over the years. He was previously elected to the Brentwood school board. He also served as a hearing officer for the district and Nassau County. If elected to the state Senate, Fritz intends to use the position to bring more resources to communities that have been left out in the past. Boyle, 53, of Bay Shore, was a state Assemblyman for 14 years before winning a state Senate seat four years ago. He chairs the commerce, economic development and small business committee. A law he got passed this year allows the adoption of dogs and cats retired from scientific research. He has proposed increasing penalties for the use of automated concert ticket purchasing software and repealing a law mandating tattoo artists use single-use ink packets, driving up costs. This 32-year-old North Babylon resident and senior clerk at the Suffolk Board of elections who challenged Boyle two years ago is not actively campaigning. Marcellino, 73, of Syosset, is running for his 11th full term since winning the seat representing the North Shore of western Suffolk and eastern Nassau in 1995. He was first elected to public service as the Oyster Bay town clerk. He chairs the education committee and co-chairs the transportation committee. Among the latest laws he got passed was one that curtailed light pollution emanating from state-owned buildings and a law banning the use of hands-free cell phone devices for drivers with learners’ permits. Gaughran, 59, of Northport, is an attorney, Suffolk County Water Authority chairman, former Huntington town councilman and ex-Suffolk legislator. In addition to an unsuccessful run for county comptroller, this is his second bid for state Senate. If elected, he would focus on banning outside income for state lawmakers and prohibiting lawmakers from spending campaign funds on personal expenses. He would also work to focus tax dollars on public schools instead of charter schools and getting rid of Common Core. Hannon, 70, of Garden City, is running for his 16th term representing the state Senate district that includes central-western Nassau. He previously served a dozen years in the state Assembly. A long-serving chair of the health committee, he’s claimed credit for drafting legislation regarding drug-insurance programs for the elderly as well as an assisted living program, plus helping enact Child Health Plus and extending insurance coverage for autism, prostate and breast cancer screenings. This 35-year-old attorney from Garden City is mounting a rematch after unsuccessfully trying to unseat Hannon four years ago. If elected, he’ll work to close the “LLC loophole” that allows wealthy individuals to avoid campaign donation spending caps by hiding behind secretive limited liability corporations. He would also work to pass a bill that would require safe storage for all guns. He also supports eliminating Common Core. Haber, 49, of East Hills, is a businessman, longtime Roslyn School Board member and former Nassau Interim Finance Authority director. He previously lost bids for Nassau executive and state Senate. He’s running a second time for the seat being vacated by outgoing state Sen. Jack Martins (R-Old Westbury). He touts his business experience as giving him the credentials need to create jobs and manage budgets. If elected, his priorities include women’s equality, combating corruption in Albany and fighting climate change by switching to 100 percent renewable energy by 2050. This 56-year-old Manhasset resident is the mayor of the Village of Flower Hill and a former Wall Street financial analyst. Her priorities include fighting the opioid epidemic by increasing access to drug rehabilitation and fighting gang violence by increasing anti-gang education and giving law enforcement the resources they need to stop the flow of illegal guns from other states, where the majority of firearms used in crime originate. Phillips also has plans to boost tax credits in order to make child care more affordable for middle class families. Venditto, 33, of Massapequa, is a freshman senator representing southeast Nassau and southwest Suffolk. He is an ex-Nassau legislator, former legal counsel to Hempstead Town Board and son of Oyster Bay Town Supervisor John Venditto, who recently pleaded not guilty to federal corruption charges. He chairs the consumer protection committee. Laws he got passed include a measure requiring nail salon trainees to register with the state. Among his the bills he’s proposed is one giving the Freeport Armory to the Village of Freeport. This 66-year-old Seaford native is an insurance executive, former risk management director of Nassau and former Seaford school board member. Besides pushing for 10-year term limits for state legislators, his priorities include ending the Nassau guarantee that requires the county to refund tax overpayments that actually went to other municipalities. He also created an Assessment Reform Program to streamline how property tax refunds are handled. If elected, he would also work to tweak the state’s school aid distribution formula to ensure Long Island districts get a fairer share. Kaminsky, 38, of Long Beach, is a former state Assemblyman and current freshman senator representing the southwestern corner of Nassau who won the seat in a special election this spring. As a former federal prosecutor who replaced ex-State Senate Majority Leader Dean Skelos (R-Rockville Centre), who is appealing a corruption conviction, Kaminsky’s priority has been passing ethics reforms to address corruption in Albany. He is also fighting for more state aid for schools, women’s equality and rebuilding after Sandy. McGrath, 57, of Hewlett Harbor, is a personal-injury attorney running a rematch after losing to Kaminsky this spring. If elected, he would fight for increased penalties for those convicted of DWI and term limits for state legislators. He warns that if Democrats regain the majority of the state Senate, that will mean one-party rule for all branches of state government, resulting in New York City power brokers shortchanging Long Island. Hirsh, 56, of Valley Stream, is an accountant who lost a bid for the Nassau legislature last year. If elected, he would propose a one-percent tax on all Wall Street transactions that involve trading on vital commodities. The money made would pay for unfunded mandates, infrastructure improvements and a new rail system from Albany to New York City. He would also push for state legislative term limits and increasing state lawmakers salaries to combat corruption by reducing their reliance on outside income that often breeds conflicts of interest. Thiele, 63, of Sag Harbor, is a lawyer, former Suffolk legislator and ex-Southampton Town supervisor running for his 11th full term representing the district that includes the entire South Fork. The former Republican-turned-Independence Party member who caucuses with Democrats is a strong advocate for land preservation, the environment, public transportation and a cap on property tax hikes. He chairs the small business committee and supports making the state legislature work year-round. This 40-year-old assistant Suffolk Board of Elections clerk from East Quogue unsuccessfully challenged Thiele two years ago. If elected, she would push legislation enacting term limits for state lawmakers, ending Common Core, increasing access to drug rehabilitation to combat the opioid epidemic and providing the elderly with resources to prevent being victims of scams. This 46-year-old Assemblyman from New Suffolk is running for his third term representing the district that includes the North Fork. The former Suffolk prosecutor was an attorney private practice in a Mattituck law firm before taking office. He sits on the environmental, judiciary and consumer affairs committees. Bills he’s proposed would provide student loan relief, ending the Common Core education system and further limiting the privileges of violent state prison inmates. Conroy, 57, of Manorville, is a construction worker, union leader and Democratic committeeman. If elected, he would work to end the practice or employers who pay staffers in cash, which he said shortchanges the state out of an estimated $4 billion in taxes annually. Murray, 52, of East Patchogue, who runs R&S Advertising Inc., won his seat in a 2010 special election, was re-elected once, got unseated four years ago and then recaptured his seat in a ’14 rematch. The district includes the South Shore of the Town of Brookhaven. He sits on the aging, education and small business committees. He proposed a bill that would create a statewide mandatory minimum yellow light duration to address concerns that yellow lights are sometimes shorter on traffic signals that have red light cameras. This 30-year-old East Patchogue resident and Suffolk Board of Elections worker isn’t actively campaigning. Englebright, 71, of Setauket, is running for his 13th term representing the northwest corner of Brookhaven town. Trained as a biologist and geologist, he chairs the environmental committee and has a reputation as a staunch environmentalist on LI by advocating for a state ban on baby bottles made with bisphenol-A (BPA), opposing fracking and supporting renewable energy. He helped Suffolk preserve open space and protect the Pine Barrens. This 52-year-old Stony Brook resident is an attorney with the Legal Aid Society of Suffolk County who is a first-time candidate. If elected, he would work to pass legislation to boost the economy, such as funding infrastructure upgrades in the district, as well as mental health issues, such as expanding access to drug rehabilitation as a way to combat the opioid epidemic. Graf, 56, of Holbrook, is running for his fourth term representing the central-western area of Brookhaven town and northeastern corner of Islip town. He sits on the housing, codes and education committees. The U.S. Navy veteran and retired New York City police officer has written bills dealing with protecting children and victims of domestic violence. He’s initiated a learn-to-work program bringing businesses and local colleges together to help the curriculum better match the needs of the business community. This 60-year-old former Sachem school board member from Holbrook has been a deputy aide and educational liaison at the state Department of Social Services, where she has provided educational stability and promoted equal opportunity for all school aged children in temporary housing. She is also a civic leader, member of the Islip town youth bureau and a former bank manager. She supports women’s equality, renewable energy and campaign finance reform. She unsuccessfully tried to unseat Graf two years ago. This 25-year-old U.S. Navy veteran from Lake Grove is a full-time college student and first-time candidate. If elected, he would push legislation enacting campaign finance reform to curb corruption and the influence of wealthy campaign donors in Albany, increasing access to drug rehabilitation to help fight the opioid epidemic and decriminalizing the use of marijuana. A 60-year-old retired Suffolk police detective who lives in Bay Shore, Ramos is running for his eighth term representing the district that encompasses the northwest corner of the Town of Islip. He’s pushed legislation to help crack down on illegal guns so they don’t fall into the hands of gangs and backs the Dream Act. In addition to serving on the ways and means, aging, education and local government committees, he was also named deputy majority leader last year. Garbarino, 32, of Sayville, is a real estate attorney running for his third term representing the South Shore of Islip town and East Patchogue. He sits on the energy, health and environmental conservation committees. He wants to make college more affordable and is pushing for more funding for drug rehabilitation to help combat the opioid epidemic. He also wants to push for unfunded state mandate relief and ethics reform. This 22-year-old Holbrook resident is a pizza delivery driver and recent college graduate making his first run for office. If elected, he would push for legislation enacting ethics and campaign finance reform to address corruption in Albany. He also hopes to making Long Island more affordable. News12 Long Island reported that Gambini is the youngest candidate to ever run for state Assembly. Fitzpatrick, 59, of St. James, is an investment banker running for his eighth term representing a district that includes all of the Town of Smithtown and part of northern Islip town. He previously served 15 years on the Smithtown town board. He sits on the housing, local government and small business committees. Widely considered the most conservative member of the Assembly, his priorities include unfunded mandate relief and fiscal reform. This 64-year-old retired home health care administrator from Kings Park is a Democratic committeeman. He founded and ran a community based not-for-profit organization in Brooklyn before he moved to LI two decades ago. He ran unsuccessfully for state Assembly, Smithtown town board and Suffolk legislature in recent years. If elected, he would push for government consolidation to save taxpayers money and also supports unfunded mandate relief. Saladino, 53, is a former broadcast journalist running for his seventh full term representing the U-shaped district that includes Seaford and Massapequa, Jones Beach, plus the southeastern corner of Babylon town and southwestern corner of Islip town. He was formerly the executive assistant for the Town of Hempstead and director of operations for the Town of Oyster Bay. He sits on the labor, environmental conservation and ways and means committees. He boasts making the striped bass the official state fish. This 23-year-old West Babylon resident is a Babylon town spokesman who previously worked in the town’s industrial development agency. He also interned for the the Humane Society and the re-election campaign of outgoing U.S. Rep. Steve Israel (D-Huntington). If elected, he would push for ethics legislation, including campaign finance reform, ending Common Core and increasing access to drug rehabilitation to fight the opioid epidemic. Lupinacci, 37, of Huntington, is a real estate attorney and professor running for his third term representing the western half of Huntington town. This year, he considered running to replace outgoing U.S. Rep. Steve Israel (D-Huntington), but didn’t pursue the bid. He sits on the transportation, judiciary and higher education committees. As a former South Huntington Union Free School District trustee, his priority is education issues, such as unfunded mandate reform. This 59-year-old Huntington resident is a Suffolk Board of Elections worker, a member of the Huntington town zoning board of appeals, president of a marketing agency and former director of Suffolk’s Office of Minority Affairs. He is a first-time candidate. If elected, he will work to pass legislation expanding sewers in the district as a way to boost the economy and protect the environment. He also supports a cap on school administrator salaries. This 32-year-old freshman lawmaker from Wyandanch represents the district that includes northwestern Babylon town. She previously served as an aide to Suffolk County Legis. DuWayne Gregory (D-Amityville) and U.S. Rep. Steve Israel (D-Huntington) before working at the Town of Babylon’s Industrial Development Agency and leading the Wyandanch Community Resources Center. She sits on the economic development, mental health and banks committees. Her priorities include bringing higher-paying jobs to her constituents, ensuring that her district’s schools get a fair share of aid and championing the rights of minorities. Cullinane, 63, of Lindenhurst, is the clerk-treasurer of the Village of Lindenhurst and former Lindenhurst library board member who unsuccessfully ran for Suffolk legislature and Babylon town board. If elected, he would work to pass legislation that increases penalties for gang-related crimes and add resources to anti-gang education in schools. He would also work to combat the opioid epidemic by increasing the penalties for drug dealers, improving access to drug rehabilitation and adding resources to anti-drug education in schools. Raia, 48, of East Northport, is running for his eighth term representing the eastern half of Huntington town, the northeastern corner of Babylon town and the northwestern corner of Islip town. He sits on the banks, health and rules committees. He has pushed legislation creating a database of violent felons, increasing penalties for “Knockout Game” participants and cracking down on animal abuse. This 63-year-old Northport resident is senior editor at the Long Island Press and a longtime journalist who has worked for Newsday, the New York Post and Long Island Jewish World. He is a first-time candidate. If elected, he would work to pass legislation ensuring campaign finance reform, local government consolidation, making college tuition more affordable and investing in sewer infrastructure upgrades. Lavine, 67, of Glen Cove, is an attorney running for his sixth term representing the C-shaped northern Nassau district encompassing the coast of the Oyster Bay peninsula. He is a former Glen Cove city councilman. As chair of the ethics committee, he has been pushing for campaign finance reform. His other priorities include women’s equality and making it harder for criminals to purchase illegal guns. 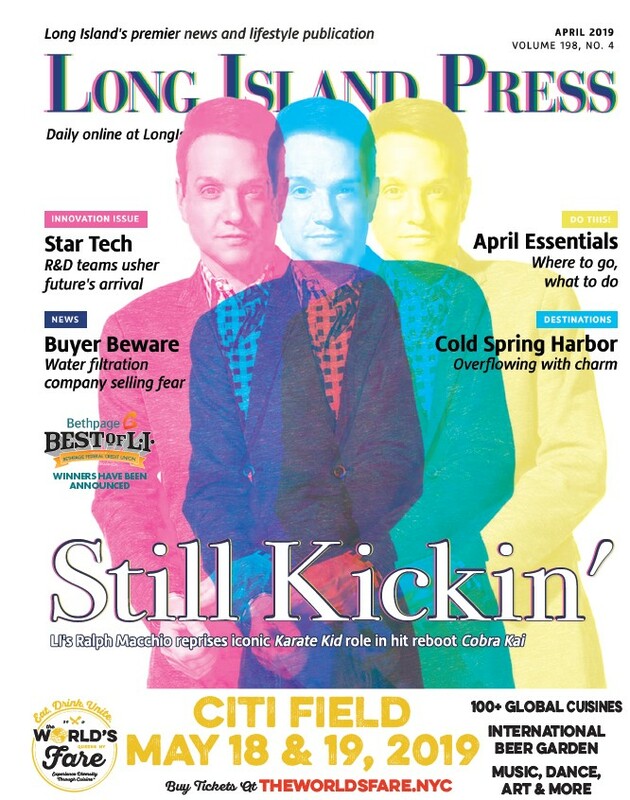 This 32-year-old Sea Cliff resident is an Oyster Bay town employee making his first run for office. If elected, he would work to pass legislation enacting campaign finance and other ethics reforms, ending Common Core, creating a public database of violent convicts so the public knows where they live as well as fostering renewable energy initiatives. Peress, 44, of Glen Cove, is a custodian and college student who ran for Nassau legislature last year and is seeking a rematch against Lavine, who Peress unsuccessfully challenged two years ago. If elected, he would work to pass legislation to support the use of hemp, hydroelectric, solar, geothermal and wind power. He’d also raise income taxes on individuals making more than $400,000 annually. McDonough, 79, of Merrick, is a U.S. Air Force veteran running for his eighth full term representing the southeastern corner of Nassau from Baldwin Harbor to Levittown. Besides chairing the Assembly Minority Task Force on Public Safety, he sits on the committees on consumer affairs, education and health. His priorities include passing ethics reform legislation and bills combating the opioid epidemic. This 55-year-old Merrick resident is a paramedic making his first run for office. If elected, he would work to pass legislation enacting early voting, making college more affordable, ending Common Core, campaign finance reform such as banning outside income for lawmakers as well as investing in the sewer system to boost the economy and protect the environment. Montesano, 62, of Glen Head, is running for his fourth full term representing a spaghetti-shaped district that includes Bayville, Syosset, Salisbury, Hicksville and Farmingdale. He’s an attorney, former New York City police detective and has served as Roslyn Harbor village justice and prosecutor. He sits on the codes, corporations, judiciary, labor and ethics committees. 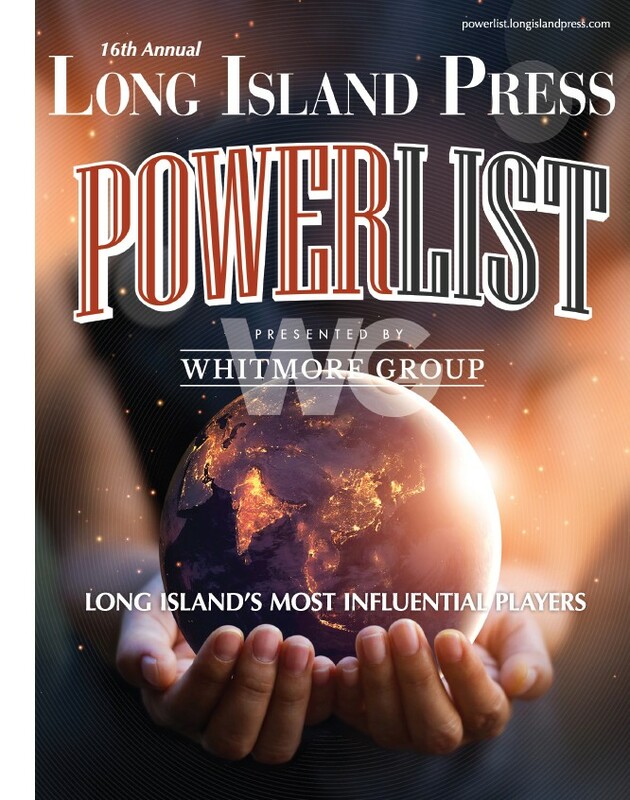 Among the bills he’s proposed is one that would provide greater oversight of the Long Island Power Authority. This 58-year-old optometrist from Glen Head is making his second bid for office after unsuccessfully running for Nassau legislature last year. If elected, he would work to pass legislation enacting term limits for state lawmakers. He made corruption the top issue of his campaign by giving voters toilet paper adorned with the faces of indicted politicians. He also said that he would donate his salary to charity and erect a statue of Billy Joel at Nassau Coliseum. This 76-year-old former North Hempstead town councilman from Port Washington is running for the seat being vacated by outgoing state Assemb. Michelle Schimel (D-Great Neck), whose district includes the Port Washington and Manhasset peninsulas in northwestern Nassau. D’Urso is an Italian immigrant and developer who, if elected, would work to pass legislation banning outside income for state lawmakers and ending Common Core. Varvaro, 25, of Port Washington, is first-time candidate and former legislative aide who worked on former Gov. George Pataki’s presidential campaign. If elected, he would work to pass legislation enacting ethics reform, fix Common Core and invest in the sewer system to help both the local economy as well as protect the environment. McKevitt, 45, of East Meadow, is running for his sixth full term representing central Nassau. The former deputy town attorney for Town of Hempstead also previously worked as an aide to state Sen. Kemp Hannon (R-Garden City) and ex-U.S. Sen. Alfonse D’Amato (R-NY). He is Assistant Minority Leader Pro Tempore, the No. 3 rank in the GOP’s Assembly minority, and sits on the codes, consumer affairs and elections committees. His priorities include passing ethics reform and legislation combating the opioid epidemic. This 24-year-old Seaford resident is a Nassau Board of Elections clerk who interned for ex-U.S. Rep. Carolyn McCarthy (D-Mineola) and unsuccessfully ran for Nassau legislature last year. If elected, he would work to pass legislation enacting ethics reform by banning outside income for state lawmakers and passing campaign finance reform by closing the LLC loophole. He also supports women’s equality. This 77-year-old Hempstead resident is running for her 15th full term representing the district that includes south-central Nassau. She is the deputy Assembly speaker, making her the highest ranking woman in the state legislature. A social worker by training, she has been an administrator in the state Department of Social Services, Division of Children and Family Services. She touts her support of women’s equality, minorities and small businesses. She has tried for years to pass legislation turning the Freeport Armory over to a community group. This 47-year-old banker from Lakeview is running a rematch after trying to unseat Hooper two years ago in addition to unsuccessfully running for Nassau legislature and the Malverne school board. If elected, he would use his financial expertise to help manage the state budget better, seek more federal grant funding to assist the community and promote economic development. He supports keeping the Freeport Armory a public facility. Ra, 35, of Garden City South, is running for his fourth term representing the central-western Nassau district. He previously served as the deputy town attorney for the Town of Hempstead and a legal aide in the state attorney general’s office. He sits on the codes, education, health and transportation committees. His priorities include combating the opioid epidemic and passing a bill that would increase penalties for those convicted of animal cruelty while committing another crime. Port, 54, of West Hempstead, is a retired U.S. Army lieutenant colonel and a partner in the Lynbrook-based law firm of Port & Sava. He once unsuccessfully ran for Hempstead town supervisor and this is his third time running for this Assembly seat. If elected, he would work on passing legislation enacting ethics reform by creating term limits. He would also work to ferret out fraud, waste and abuse in the Medicaid system. Eramo is a 42-year-old, two-term Long Beach city councilman running for the seat vacated by ex-state Assemb. Todd Kaminsky (D-Long Beach), whose district includes all of Long Beach Island as well as the southwestern corner of Nassau. Eramo is also a field technician for Verizon, where he is chief shop steward for his union. He touts his experience in helping the city recover from Superstorm Sandy as giving him the credentials needed to bring good jobs and tax deductions to the district. Miller, 52, of Atlantic Beach, is a stay-at-home mom and noted advocate for children with special needs who is credited with helping lawmakers make the case to legalize medical marijuana. She is a first-time candidate. If elected, she would work to pass legislation to ensure the Compassionate Care Act covers more ailments, is covered by insurance of Medicaid and make the program more affordable. This 33-year-old Long Beach resident is a solar company worker and Green Party committeeman who unsuccessfully ran for Long Beach city council last year. If elected, he would work to pass legislation converting the state to 100 percent renewable energy by 2030, banning political party leaders from holding elected or appointed office, invest further in sewers as well as increase whistle blower protections. Curran, 47, of Lynbrook, is running for a fourth term representing a sliver of the southwestern corner of Nassau. Before being elected to that seat, he was the assistant village prosecutor of Lynbrook, a Nassau deputy attorney and a former Lynbrook mayor. He’s sits on the aging, banks and ethics committees. He supports requiring lawmakers convicted of crimes to forfeit their pensions and opposes the Dream Act. This 31-year-old Nassau Board of Elections clerk from Merrick is making his first run for office. If elected, he would work to pass legislation reforming Common Core, creating more affordable housing options to stem the Brain Drain and enacting ethics reforms such as requiring lawmakers convicted of crimes to forfeit their pensions. Solages, 31, of Elmont, is running for her third term representing the central Nassau district that abuts the city line. Before being elected, she was a community activist, freelance photojournalist, paralegal and the supervisor of access services at Hofstra’s Axinn Library. She chairs the subcommittee on child product safety. Her priorities include women’s equality, supporting minority businesses and ensuring the redevelopment of Belmont Park in Elmont fits the community. This 24-year-old Valley Stream is a first-time candidate and law clerk at the Manhattan-based law firm of Goldberg Miller & Rubin. If elected, he would work to pass legislation enacting ethics reforms by creating term limits for state lawmakers as well as reforming Common Core.